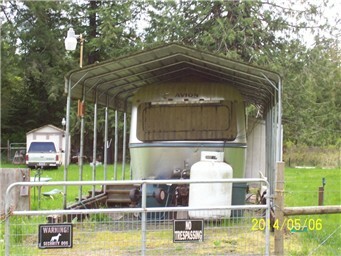 Two travel trailers (don't forget to ask for the titles) included and two storage sheds. lake Arrowhead has an RV dump in the complex. Ready for low cost living/camping and enjoyment of the lake and clubhouse. Low yearly dues ($105/yr) Water is $50.10 per month. Terms only with good credit and LARGE down payment.